Place into the over a baking pan large enough to hold 6 oven-proof ramekins and deep enough to hold water as well as the ramekins. Half-fill the baking pan with water. Warm up the oven to 175°C (or 350°F). 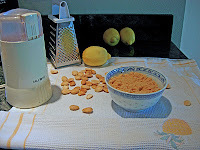 Wash the lemon and grate the zest on a fine grater. 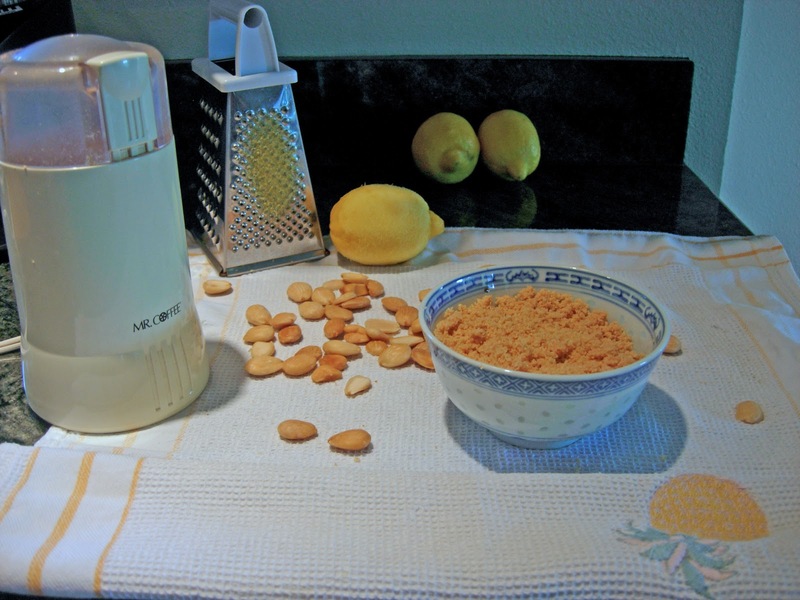 Grind the almonds finely in a spice grinder or similar machine. 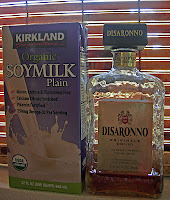 Warm the soy milk gently in the microwave or in a saucepan. Break 2 eggs into a bowl or blender; separate the yolks and whites of the 4 remaining eggs, and add the yolks to the bowl or blender. 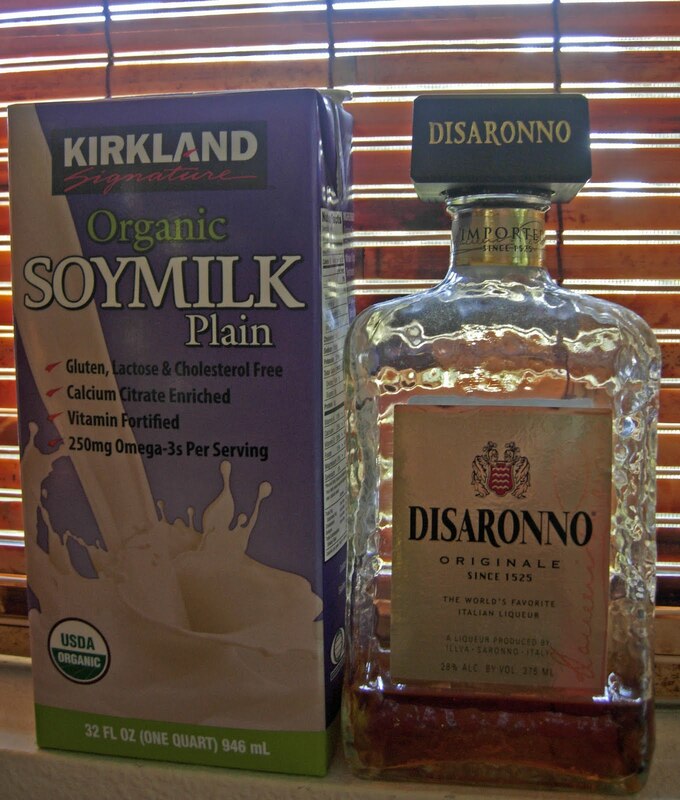 Whisk or blend the eggs slightly, add the warm milk, lemon zest, ground almonds, almond liqueur, and a pinch of salt, and mix thoroughly. 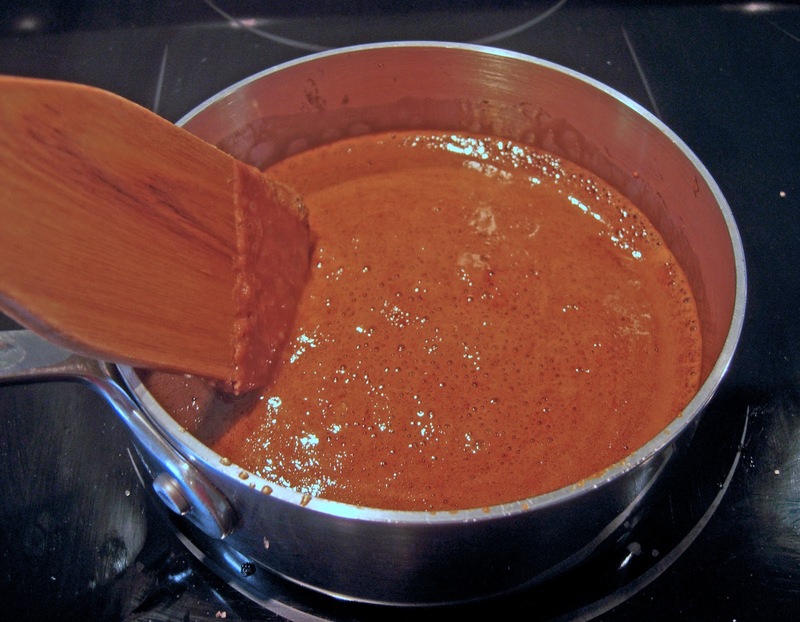 Place the sugar into a clean saucepan and heat it gently, stirring, until it melts and you see small bubbles forming. Remove the pan immediately from the stove top and distribute the caramelized sugar among three or four oven-proof ramekins (these are for non-diabetics). Immediately, taking care not to burn your fingers, tilt and roll the ramekins to coat part of the sides with the sugar, which should very soon harden to toffee. Smear butter around the insides of the remaining two or three ramekins. Pour 175 ml (or ¾ cup) of the milk-and-egg mixture through a sieve into each of the ramekins, saving any almond meal that stays in the bottom of the sieve. Carefully, place the ramekins into the now-hot water in the baking pan and bake them at 175°C (or 350°F) for 30 minutes. Gently spoon the almond meal from the sieve over the tops of those custards that have no caramelized sugar. Bake for another 10 minutes and check for doneness—the top of a custard should bounce back but not ripple when tapped lightly with a spoon. Remove the ramekins from the oven when they pass this test. Cool the ramekins then cover and chill overnight. Serve the flans by inverting each ramekin on a dessert plate, allowing the custard to unmold and the caramelized sugar to flow over and around it.